Small claims court is a streamlined and simplified version of a typical civil court proceeding. The rules and procedures of small claims court make it ideal for limited claims of certain types, and usually calculating damages is quite simple. Because the rules and procedures vary by state, the precise methods used will also depend on the state. Many states include restrictions on the types of actions that can be brought in small claims. Domestic disputes, such as those that would normally be heard in a family court, criminal cases and some civil torts usually cannot be filed in small claims. This is significant because many of these types of claims can result in injunctive relief, punitive damages and other awards that are not available in small claims. Most small claims cases are over unpaid rent, property damage, minor injuries or small-contract issues. These are amenable to the small claims process because the damages resulting from the claim are easily quantifiable "economic" damages. Lost wages and medical bills are other common forms of economic damages in civil suits generally. Even expectation damages resulting from breach of a contract are economic damages that are usually easily to quantify. Noneconomic damages are much less easy to quantify. These are awards for things such as pain and suffering and loss of consortium, which don't easily break down into dollar amounts. In regular civil cases, juries usually have wide discretion to award noneconomic damages, though many states have statutory caps on the total amount. Noneconomic damages are almost never awarded in small claims, because there is no jury and the types of claims brought have negligible if any noneconomic element. States also limit the claims that can be brought in small claims based on the dollar amount of the claim. This usually is also based on the amount of actual economic damages suffered by the plaintiff. The effect of the limit is to exclude claims in which the actual damage exceeds the limit even if the plaintiff is willing to sue for a lower amount. Thus, the amount of actual losses suffered by the plaintiff, whether for unpaid rent or lost wages, usually determines whether the case can be brought in small claims. According to the Free Advice website, most states do not allow punitive damages to be awarded in small claims court. This represents another major limit on the way damages are calculated in small claims court. In civil court, punitive damages can usually be awarded when the defendant intentionally causes the plaintiffs injury. By filing in small claims, the plaintiff most likely waives any right to collect punitive damages for an intentional injury. A small claims suit over any aspect of a larger incident could also preclude the plaintiff from filing in civil court for damages related to the incident. Nolo: How Much Can I Sue for in Small Claims Court? Nicholson, Joseph. "How Are Damages Figured in Small Claims Court?" 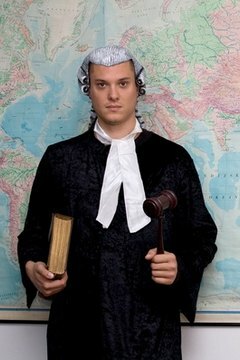 , https://legalbeagle.com/6329075-damages-figured-small-claims-court.html. Accessed 21 April 2019.